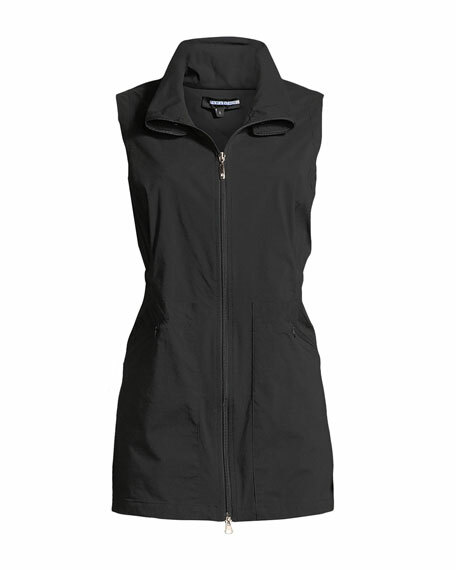 Anatomie "Deleney" long vest in lightweight stretchy fabric. Funnel collar may be snapped and worn folded; two-way zip front. For in-store inquiries, use sku #2489082.